A single finger raised in praise to the sky gets Mexico High School QB Dante Turo flagged for "taunting." 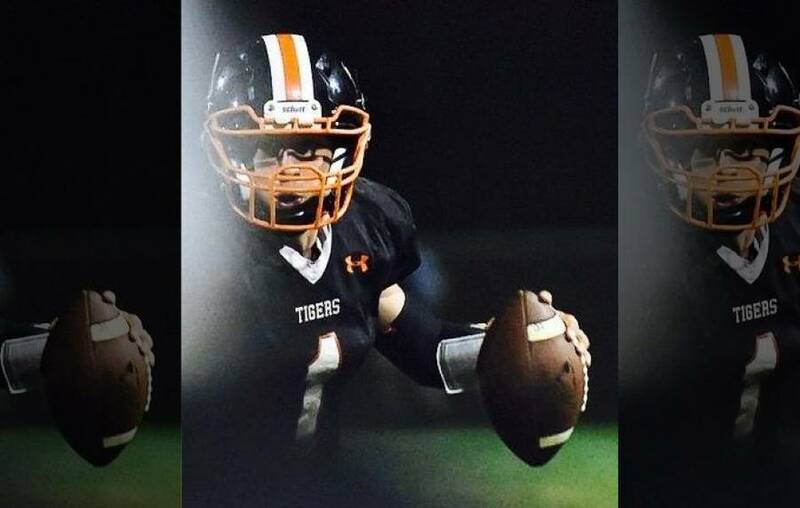 Mexico High School quarterback Dante Turo was raised by his parents to give glory to God — especially on the football field. Geno, who lives in a small town north of Syracuse, New York, encouraged his son to find a subtle way to praise the Lord after making big plays. So on Oct. 17 when Dante ran 73 yards for a touchdown, the 17-year-old quarterback raised a single finger to the sky. Dante was honoring the Lord. But a referee said he was taunting. Video shows the quarterback running into the end zone and briefly raising his finger before tossing the pigskin to the referee. As soon as he raised his finger, the ref tossed a flag. He was penalized 15 yards for unsportsmanlike conduct — excessive celebration. A website that covers high school sports in the Syracuse region tried reaching out to the Mohawk Valley Chapter of Certified Football Officials. No comment, they replied via email. “It has been a longstanding policy that the Mohawk Valley Chapter of Certified Football Officials does not address the media pertaining to penalty calls or any other actions made during a football game,” they wrote to the website: HighSchoolSports.Syracuse.com. Granted, it’s just a football game, but what happened in New York over the weekend is an example of something that’s happening across the country. Christians are being told to keep their beliefs to themselves. Dante will be back on the football field Friday night. And should he be fortunate enough to score a touchdown, the young 17-year-old told me he will honor God. “Without a doubt I will raise my finger,” he told me. Without a doubt. No matter the cost. Dante Turo is indeed fearless in the face of opposition. Originally published on Todd’s American Dispatch, October 21, 2015 and is reprinted with permission. Todd Starnes is host of Fox News & Commentary, heard on hundreds of radio stations. His latest book is God Less America: Real Stories From the Front Lines of the Attack on Traditional Values. Follow Todd on Twitter@ToddStarnes and find him on Facebook. Homosexuality is ruining what’s left of America. exterminator gets rid of vermin.